Back on October 31st 1517 a little known Monk and Professor of Theology and Bible at the University of Wittenberg proposed a theological debate regarding a practice called “Indulgences” where preachers from Rome came up to Germany and basically shook down the population for donations to help built the now majestic Saint Peters Basilica in Rome. Promises of spiritual blessings, to include time out of Purgatory for those that donated had an affect on German churches and the local political leaders. However, it seems that Christians and especially ministers of all times and traditions often forget the lessons of history. The church in the United States is at a critical point in history, but for the most part its leaders don’t understand this. The American church is fast losing its credibility due to the arrogance and excess of many church leaders in matters related to personal behavior, financial accountability, and accountability before the law concerning clergy sexual abuse cases. The common view of many inside and outside the church is that American ministers practice a “do as I say, not as I do” lifestyle holding others, especially non-Christians to a higher standard than they practice themselves. Likewise there is the nearly incestuous relationship between many ministers and those holding political and or economic power in which quite often one cannot tell where the “gospel” ends and the politics begin. This spans the denominational spectrum. The practical fallout is stunning: The Barna Group, a highly respected polling organization surveyed people 18-29 years old asked what phrases best described Christians: The top five answers “Anti-homosexual, judgmental, hypocritical and too involved in politics.” This view was held by 91% of non-Christians and a staggering 80% of young churchgoers. But the vast bulk of conservative American clergy and their devoted followers don’t seem to care, probably because the facts do not fit their narrative. The point I am making is that many clergy in the United States, especially those in influential pulpits and ministries have forgotten the dangers of “clericalism” and the abuses of clerics who use their office as clergy to gain political, financial and personal power. Jesus told his disciples that they wanted to be great in God’s kingdom they had to be servants of all. Jesus, as well as the apostles, other new Testament writers and the Ante-Nicene Fathers warned about the dangers of seeking wealth, status or position. Of course that changed after Constantine when the church became the Imperial Church, something that despite the attempts of some that it has found a way to do throughout history, our American experience included. By their budgets ye shall know them….Reverend Robert Schuler’s “Crystal Cathedral” megachurch declared bankruptcy in 2012. It was $43 Million dollars in debt and embroiled in an internal power struggle and losing money. Schuler asked “tithers to double tithe” and those that do not tithe to “start tithing.” He talked about what the church has given to them and why it earned their support. It was a rather pompous plea from a man who had the ear of Presidents and other political and business leaders. Southern California had been terribly hard hit by the economic downturn and recession of 2007-2011. This affected many parishioners that worshipped at the Cathedral as well as those who watched Schuler’s “Hour of Power” show. The Chrystal Cathedral tried to live “month to month on $2 Million dollars a month.” It cut back staff, curtailed programs and sold property to try to make ends meet. The efforts failed. The church collapsed and the Church Campus was sold to the local Roman Catholic Diocese. 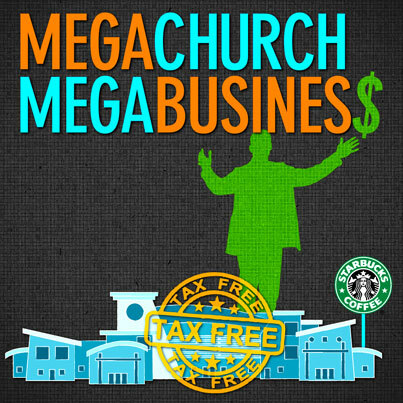 I wonder how many more megachurches built on piles of debt are facing what happened at the Chrystal Cathedral. Of course since their books are well guarded we won’t know until they collapse. I’m sorry but those that live off of other people’s money should never be presumptuous and assume that faithful givers should have to bail them out. By their budgets ye shall know them….Other churches at denominational and local levels have often become embroiled in financial scandals that tarnished the reputation of those churches, their leaders and disillusioned their membership. The Roman Catholic Church had to deal with a major scandal involving the Vatican Bank in the 1970s and 1980s and Pope Francis has been having to unscrew the latest mess that occurred during Pope Benedict’s watch. By their budgets ye shall know them: If a ministry spends the bulk of its time and money working as surrogates for a political candidate or party it is highly likely that it has forgotten the basic mission of the Church. I cannot remember anything in the New Testament even remotely suggests we do this nor can a single time in Church history that it turned out well for the church, or for regular people in general. By their budgets ye shall know them….I worked for a fairly reputable Television ministry while I was a seminary student. The common plea of these types of ministries is that they “are on a mission from God” and need the money. Most of these ministries not part of any denominational structure and have little oversight. Most are presumptuous and assume that they entitled to the financial support provided by the often poor people who give them their last dime. Many churches and ministries suffer a terrible lack of accountability and oversight, so be assured these abuses are more widespread than we would want to believe. In regard to television ministries in particular the amount of money required to keep their programs on the air is beyond exorbitant. The bulk of the money used by such ministries comes often from those that are barely surviving financially even in “good times.” Often it comes most vulnerable and desperate people. The elderly, the sick, the poor, and the lonely. Such people are “believing in God for a miracle” and trust that the smiling preacher will help get them their miracle. Such vulnerable people respond to these ministries by obediently shelling out of their meager incomes to ministries in response to persuasive pleas by ministers that should know better. The motivation, love and obedience of these often wonderful people is exploited by unscrupulous ministers in order to support air programs that have little impact on the world. However, those funds have a great deal of influence in the political aspirations of these preachers. Money equals influence and influence equals power. By their budgets ye shall know them….If money was the only thing it would be a manageable problem. But money and power is the root of the problem and problem extends to lifestyles of ministers and other church leaders which are hardly supported by the demands of the Gospel. The shear opulence of the lifestyle of many clergy is not just off-putting but obscene. When times get tough for their churches or ministries these charlatans demand more money from their flocks rather than amending their lives and budgets. If members of flock object they are the ones that are vilified. In my old church those clergy who could not meet their tithe for whatever reason were told that they were being “disobedient to their vows.” For some of our bishops and clergy vows to the Church were less concerned with doctrinal orthodoxy, or even being good Christians, but were narrowed down to if you paid your tithe on time. I remember one Bishop who left the church to go elsewhere who told the assembled priests in his diocese that the tithe was the “essential test of obedience, and what bound us together.” Families and parishioners were described by another Bishop as “tithing units” and not people. When I was in the Army Reserve and contemplating a mission parish start up I was told by the bishop that in order to be “successful” the church needed at least “x-number of tithing units.” I was offended and decided not to do a mission as I was recalled to active duty soon after. In such churches people and families are reduced to an economic resource to keep the ministry afloat and support the lifestyle of the minister. Doctrine or even other forms of public witness are secondary to paying the tithe. By their budgets ye shall know them…. If churches spend more money on the salaries of their pastors than they do on outreach to the poor or missions something is severely out of order. I am a historian and I know that the Apostles of those Ante-Nicene Fathers who suffered poverty and persecution never advanced such ideas. Even those that advocated a firm hierarchy in regard to matters of faith and doctrine never advocated for policies that benefited them financially. When leaders of a church, get together and dine in luxury on the monies donated by their often impoverished flocks it is denial of the Gospel and lack of respect and care for the people of God. By their budgets ye shall know them….When church building programs and plant maintenance are extravagant and require massive amounts of money to sustain without demanding more from their parishioners than something is out of kilter. When chandeliers, or massive high definition video monitors cost more than the mission budget, or benevolence ministry something is wrong. My Church History professor, Dr. Doyle Young from who I appropriated the “by their budgets ye shall know them” line used to say that “God is going to get us for our stained glass windows when we neglect the poor.” Now I appreciate good church architecture including stained glass windows. However it is highly presumptive and arrogant for churches, ministries and ministers to demand monies when they have failed to be good stewards of what they have been entrusted. When ministries unwisely spend the money given them like drunken sailors and then expect others to pick up the tab while they cry crocodile tears about how “God’s plans will be thwarted” if their ministry fails, it is plain and simple fraud. By their budgets ye shall know them….Back prior to the Protestant Reformation in Europe there was a large amount of discontent which focused on the arrogance, opulence and financial demands of the Catholic Church. 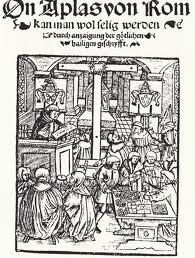 In fact much of Dr. Martin Luther’s protest in the 95 Thesis dealt with the manner in which Church finances. Back then the Roman Church used a practice called indulgences and the selling of “relics” to fund the construction of St Peters Basilica in Rome. People gave because they believed men like John Tetzel who preached in regard to indulgences “a penny into the coffer rings a soul from purgatory springs.” That is incredibly similar to the collection methods of the big evangelists who prey upon the most vulnerable to fund their ministries. Likewise the Church attempted to use its power to reward or punish rulers of these regions, much as political preachers today attempt to use their influence to push candidates to support their agenda. However, the chief complaint of many reformers was related to the Churche financial as well as political abuses of its members and nations to buttress its position in Europe. Unfortunately we have not learned this lesson, American churches are so consumed with power and money that people are fleeing them, much as happened to the Roman church during the Reformation. By their budgets ye shall know them….Finally there are honest and hard working ministers and churches that emphasize ministry and care for people as part of the Gospel message. Many eke out support while working full time in “tentmaker” professions in order to fund their missions without unduly burdening those that support them. In my denomination, all of our clergy are “worker priests” including our bishop, who does not take a salary from the church. Likewise, I know many good ministers who give not only their lives but their livelihoods to care for those in their charge. They seek not fame, wealth or power. Some are conservative, others progressive, but they have caring and compassionate hearts and their budgets reflect their priorities. What happened that day in Wittenberg was one of the most monumental events in Christian and Western History. However, It seems that Christians and especially ministers of all traditions forget the lessons of history. The church in the United States is at a critical point in history and is fast losing its credibility due to the arrogance and excess of many churches as well as individual clergy in matters related to personal behavior, financial accountability as well as accountability before the law concerning clergy that who have committed grievous crimes against children and others. Likewise there is the nearly incestuous relationship between many ministers and those holding political and or economic power in which quite often one cannot tell where the “gospel” ends and the politics begin. This exists in many churches large and small and spans the denominational spectrum not being the sole property of any particular body. There is also the matter of accountability in which it seems that many churches, ministries and ministers practice a “do as I say, not as I do” lifestyle holding their subordinate clergy as well as parishioners to a higher standard than they practice themselves. The United States has always had a strong Christian heritage that has impacted its faith as well as its national life. This is not of itself a bad thing as one looks at how churches and Christian leaders have made an impact that goes beyond them and is beneficial to the nation as a whole. Some of these achievements include the pressure put on James Madison by Virginia Baptists to ensure a guarantee of religious freedom in the Bill of Rights, the abolition of slavery the ending of child labor, the Civil Rights movement as well as numerous charitable and public interest oriented ministries to care for society’s most disadvantaged citizens as well as the aliens that have lived among us. At the same time there were many Christians, churches and ministers that supported slavery, an established state religion, segregation and many other issues. That being said churches and individual ministers have made a huge contribution to American life and community that cannot be easily dismissed despite the many problems, controversies, and scandals that have surrounded churches of almost all denominations since the founding of the United States. Religious liberty as well as Christian churches and religion in general has traditionally been seen as a positive rather than a negative aspect of the United States going back to Alexis de Tocqueville in his comments on American democracy. Clergy have enjoyed a special status in American life that exists in large part due the Bill of Rights and the Jeffersonian understanding of an “eternal wall of separation” between church and state. This is because clergy were seen as fair arbiters because they were not an appendage of the state as were the clergy of most European states that had established state religion. Thus the “clericalism” of Europe which was seen as a danger by our Founding Fathers was not a major issue. Yes some of the founders recognized a potential danger but that did not stop Congress from treating clergy and churches favorably in the early years of the republic and worked to ensure that no church became a “State church.” Over the years since the founding of the United States clergy of many denominations have made many positive contributions to our Nation in both their pastoral and prophetic roles. At the same time over the years some clergy have attempted to use their status and privileges as an entry into the elite parts of society, especially in the political, government policy and financial realms. The point to be short is that many clergy in the United States, especially those in influential pulpits and ministries have forgotten the dangers of “clericalism” and the abuses of clerics who use their office as clergy to gain political, financial and personal power. Jesus told his disciples that they had to be servants and not seek wealth, status or position something that was echoed by the New Testament writers as well as many of the Ante-Nicene Fathers. By their budgets ye shall know them….I saw the report of the Reverend Robert Schuler of the “Crystal Cathedral” megachurch which declared bankruptcy last week being $43 Million dollars in debt and embroiled in struggles about Schuler’s successor call for his parishioners to give more money. He asked “tithers to double tithe” and those that do not tithe to “start tithing.” He talked about what the church has given to them and earned their support. I found this to be a rather pompous plea from a man who has had the ear of Presidents and leaders in the political and business world. The fact is that Southern California has been terribly hard hit by the economic downturn and recession and that obviously includes many of his parishioners both those that worship at the Cathedral as well as those who what Schuler’s “Hour of Power” show. The Chrystal Cathedral tried to live “month to month on $2 Million dollars a month” cut back staff, curtailed programs and sold property to try to make ends meet. I’m sorry but when you live off of other people’s money you should never build a ministry requiring millions of dollars on the presumption that if you get it wrong that the faithful givers should have to bail you out. I saw this at a local level a few years back and it all but destroyed the local church and the denomination that church belonged. I wonder how many more megachurches built on piles of debt are facing what happened at the Chrystal Cathedral. The Church Campus was sold to the local Roman Catholic Diocese. By their budgets ye shall know them….Other churches at denominational and local levels have often become embroiled in banking scandals that tarnished the reputation of those churches, their leaders and disillusioned their membership often causing mass defections to other churches or leave the organized church all together. The Roman Catholic Church had to deal with a major scandal involving the Vatican Bank in the 1970s and 1980s and have recently had other allegations of another potential banking scandal involving the Vatican have surfaced. By their budgets ye shall know them: If a ministry spends the bulk of its time and money working as surrogates for a political candidate or party it is highly likely that it has forgotten the basic mission of the Church as I can’t remember anything in the New Testament even remotely suggests we do this nor can a single time in Church history that it turned out well for the church, or for regular people in general. By their budgets ye shall know them….I worked for a fairly reputable Television ministry while I was a seminary student. The common plea of these types of ministries is that they “are on a mission from God” well, maybe that is a Blues Brother’s paraphrase but you get my drift. Most are not part of any denominational structure and have little oversight and presume that since someone might watch them that they are entitled to financial support. They do not ask their audience for actual input into their “mission” strategy, they just ask for their audience’s money to do with as they “and as the Lord would have them to do” with it. This of course is not the sole property of television ministries but it occurs in many churches as well. If someone questions the church and its financial accountability they are accused of “being unfaithful,” “not hearing God,” or being “disobedient to God’s will or to the church.” Since many churches and ministries suffer a terrible lack of accountability and oversight these abuses are more widespread than we would want to believe. Sometimes it takes personal experience to see this but when one sees it up close and in person the blinders can be removed. In regard to television ministries in particular the amount of money required to keep their programs on the air is beyond exorbitant. It comes often from those that are barely surviving financially even in “good times” and the most desperate of people “believing in God for a miracle” in response to obediently shelling out of their meager incomes to ministries in response to persuasive pleas by ministers that should know better. The motivation, love and obedience of these often wonderful people is exploited in order to support air programs that have little impact on the world despite the boastings of these ministers that they are “fulfilling the great commission.” One has to ask if this is the case why there is so little to be seen in our society as a result of all the money poured into these pricy ministries. By their budgets ye shall know them….If money was the only thing it would be a manageable problem…. Oh but wait money and power is the root of the problem as the problem extends to lifestyles of ministers and other church leaders which are hardly supported by the demands of the Gospel. It is not uncommon at all to see clergy living off of the offerings of their parishioners live opulent lifestyles and when times get tough demand more money from their flocks rather than amending their own behaviors. Instead of accountability, repentance and a change in behavior there is a demand for obedience from their flock and if the flock objects they are the ones that are vilified. This again cuts across denominational lines and includes Protestants and Catholics, those in parish as well as those in parachurch, television and radio ministries. In my old church those clergy who could not meet their tithe for whatever reason were told that they were being “disobedient to their vows” which instead of vows to the Church in regard to orthodoxy as well as orthopraxy were narrowed down to if you were paying your tithe on time. I remember one Bishop who left the church to go elsewhere told the assembled priests in his diocese that the tithe was the “essential test of obedience, and what bound us together.” Families and parishioners of parishes were described by another Bishop as “tithing units” not people and when I was in the reserves contemplating a mission parish start up was told that in order to be “successful” the church needed at least “x-number of tithing units.” Doctrine or even other forms of public witness were secondary to paying the tithe. That church had many major financial scandals that are well documented elsewhere so I won’t go into detail about them. By their budgets ye shall know them…. If churches spend more money on the salaries of their pastors than they do on outreach to the poor or missions something is severely out of order, one cannot imagine the Apostles of those Ante-Nicene Fathers who suffered poverty and persecution advocating for what amounts to be an “Imperial” church even those that advocated a firm hierarchy in regard to faith and belief. When leaders of a church, especially a small church get together and dine in luxury on the monies donated by their often impoverished flocks it shows a tacit denial of the Gospel and lack of respect or care for the people of God. By their budgets ye shall know them….When church building programs and plant maintenance are extravagant and require massive amounts of money to sustain without demanding more from their parishioners than something is out of kilter. When chandeliers cost more than a mission budget for the poor something is wrong. My Church History professor from who I appropriated the “by their budgets ye shall know them” line used to say that “God is going to get us for our stained glass windows when we neglect the poor.” I love good church architecture including stained glass windows but it is presumptive on God the people of God for churches, ministries and ministers to demand monies when they have failed to play and manage effective especially when in spite of economic indicators they spend like drunken sailors and expect others to pick up the tab while crying crocodile tears about how “God’s plans will be thwarted” if their ministry fails. By their budgets ye shall know them….Back prior to the Protestant Reformation in Europe there was a large amount of discontent which focused on the arrogance, opulence and financial demands of the Catholic Church. 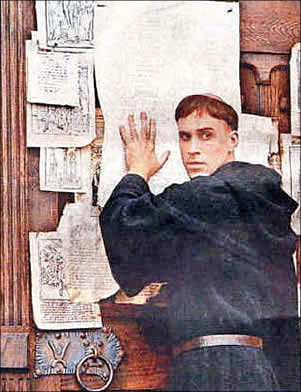 In fact much of Dr. Martin Luther’s protest in the 95 Thesis dealt with the manner in which the Church used a practice called indulgences and the selling of “relics” to fund the construction of St Peters Basilica in Rome. 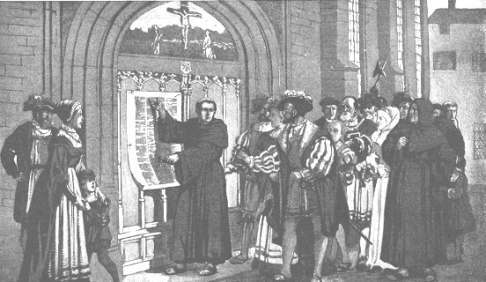 In people gave because they believed men like John Tetzel who preached in regard to indulgences “a penny into the coffer rings a soul from purgatory springs.” Of course there was the manner that the Church also used its power to reward or punish rulers which was also part of the problem but the complaint of many reformers was often directly related to the Churches’ financial as well as political abuses of its members and nations to buttress its position in Europe. Unfortunately I do not think that we have learned this lesson and that Churches and ministries in the United States are losing membership and the trend is that people are opting for individual expressions of faith rather than become a part of institutions that they feel are out of touch with real people. I believe that if things do not change there will be a mass exodus from many churches and religious institutions because of the odious nature of the financial dealings and pressure put on people to support questionable programs and lavish lifestyles. By their budgets ye shall know them….There are honest and hard working ministers and churches that emphasize ministry and care for people as part of the Gospel message. Many are foreign missionaries that eke out support while working full time in “tentmaker” professions in order to fund their missions without unduly burdening those that support them. I know many people like this and for them whether they be working in foreign missions or caring for the poor at home live the Gospel in word and deed and nothing in this essay should be construed to be against such people or their missions. I may disagree with someone’s theology but when I see them demonstrate humility and the love of God in all that they do I can only commend them. You see my friends and readers my experience leads me to believe that people are still searching for authentic faith and spirituality and have not necessarily given up on orthodox Christian beliefs. The problem is they are finding little of substance in many churches and other religious institutions. Novelist and write Anne Rice recently did this, leaving “Christianity” but not Christ and I fully understand her reasoning for doing so. 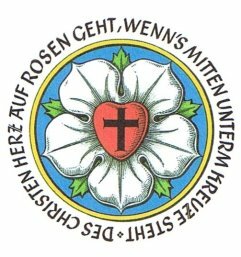 Martin Luther and the 95 Thesis: What if the Church had listened to him rather than branding him as a heretic and criminal? Some will say that by writing this that I am “causing division in the Church” or the more pious “causing division in the body of Christ.” However that is a red herring argument that attempts to divert attention from the real problem. If the Church and I mean across denominations not any particular body fails to reform itself it will fall on its own and fall hard and in the process harm the faith of many people. Churches which have to defend the indefensible to “retain unity” are those that are in schism from Christ, not those that raise issues that the society at large recognizes but church and religious leaders seem incapable of admitting. The Church must reform and a big part of that in the United States involves how we deal with wealth. By their budgets ye shall know them. This essay will be continued as I move to the next segment which will be about the incestuous relationship between many ministers and those of the political and financial elites. I’m sure that I will come up with a catch title for that essay but need to ruminate some more. John Tetzel shook down Germans for Indulgences….Have we learned anything from history? It seems that Christians and especially ministers of all traditions forget the lessons of history. The church in the United States is at a critical point in history and is fast losing its credibility due to the arrogance and excess of many churches as well as individual clergy in matters related to personal behavior, financial accountability as well as accountability before the law concerning clergy that who have committed grievous crimes against children and others. Likewise there is the nearly incestuous relationship between many ministers and those holding political and or economic power in which quite often one cannot tell where the “gospel” ends and the politics begin. This exists in many churches large and small and spans the denominational spectrum not being the sole property of any particular body. There is also the matter of accountability in which it seems that many churches, ministries and ministers practice a “do as I say, not as I do” lifestyle holding their subordinate clergy as well as parishioners to a higher standard than they practice themselves. By their budgets ye shall know them….I saw the report of the Reverend Robert Schuler of the “Crystal Cathedral” megachurch which declared bankruptcy last week being $43 Million dollars in debt and embroiled in struggles about Schuler’s successor call for his parishioners to give more money. He asked “tithers to double tithe” and those that do not tithe to “start tithing.” He talked about what the church has given to them and earned their support. I found this to be a rather pompous plea from a man who has had the ear of Presidents and leaders in the political and business world. The fact is that Southern California has been terribly hard hit by the economic downturn and recession and that obviously includes many of his parishioners both those that worship at the Cathedral as well as those who what Schuler’s “Hour of Power” show. The Chrystal Cathedral now has to live “month to month on $2 Million dollars a month” and has cut back staff, curtailed programs and sold property to try to make ends meet. I’m sorry but when you live off of other people’s money you should never build a ministry requiring millions of dollars on the presumption that if you get it wrong that the faithful givers should have to bail you out. I saw this at a local level a few years back and it all but destroyed the local church and the denomination that church belonged. 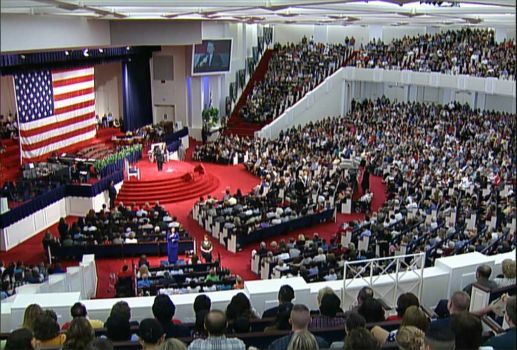 I wonder how many more megachurches built on piles of debt are facing what is happening at the Chrystal Cathedral.